Over the past few years, as more and more gamers have clamored for physical edition release of video games that were either previously or set to be released only in a digital format, a cottage industry sprung up to bring these digital games in physical mediums in limited set quantities. Operation Rainfall had the opportunity to interview Benedict Braitsch, who is the co-founder of Strictly Limited Games, and talk with him about the limited run industry, Tokyo 42, what it is like working with Studio Saizensen on Sayonara Umihara Kawase ++, and about how people can suggest games they would like to see brought over. You can check out Strictly Limited Games on their website, like them on Facebook, send them an e-mail, and tweet them on Twitter. As of publication, Tokyo 42 is still in stock on their website for purchase. Special thanks to Justin Guillou, Anime Manager for Operation Rainfall, for doing the initial reachout to Strictly Limited Games and subsequently arranging this interview with them. Operation Rainfall: First thing’s first – What is a ‘limited release’, and what advantages are there to releasing a title like this instead of the more common models of digital-only or a wide-scale standard physical release? Benedict Braitsch [co-founder of Strictly Limited Games]: Limited Release means, we will only produce a set number of games. The quantities produced are way smaller than with regular physical releases you can buy in any offline retail store. Digital-only games are alright, but some people, including us, want to have these games on their shelves. A normal retail release requires a lot more effort since you have to care for storage, distribution and so on. We are a small company and don’t have the resources to print a high number of copies. OR: What do you look for in the types of games you choose to publish? BB: Games we like and games we think gamers and collectors will like too! We love classic genres like SHMUPs, Beat Em Ups, Jump N Runs and many others. OR: Your website mentions that people will get your games in a physical medium with “something special as well”. Can we expect something similar to what other companies like Limited Run Games does in regard to bonuses? OR: You’re a company located in Germany that is entering into the video game publishing market. What is the demand like for ‘limited run’ video games in Europe, and how is it similar/different than that of the United States? BB: The markets are very similar. There are collectors all around the globe and so should be the demand. OR: Have you found people in Europe and North America to want the same games/genres to be limited run physical releases, or do they want different things? BB: That’s an interesting one. We didn’t notice a difference yet. Sure, Germany for example is very strong with simulator games, but this doesn’t affect the small niche of collectors and retro gamers. Great games are appreciated worldwide. OR: You advertise that you will be releasing one game a month, starting with Tokyo 42 on November 11, 2017 for the PlayStation 4. What is Tokyo 42 about, and why did you choose to launch your company with that game first? BB: Tokyo is about an assassin doing his jobs in a stylish futuristic city. When we first saw a Trailer for Tokyo 42, we were hooked. The style and the music are just too good. It’s also very similar to Syndicate. Publisher Mode 7 was the first partner we signed a contract with, and we’re glad to publish the physical box of Tokyo 42. 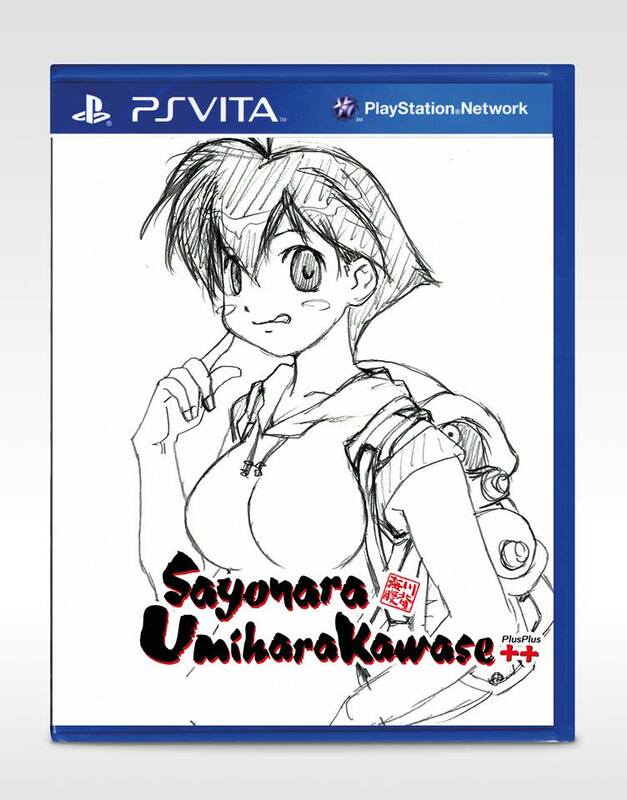 OR: Just a few days ago, you announced that you were worldwide-exclusively publishing Sayonara Umihara Kawase+ to the PlayStation Vita console as Sayonara Umihara Kawase ++. 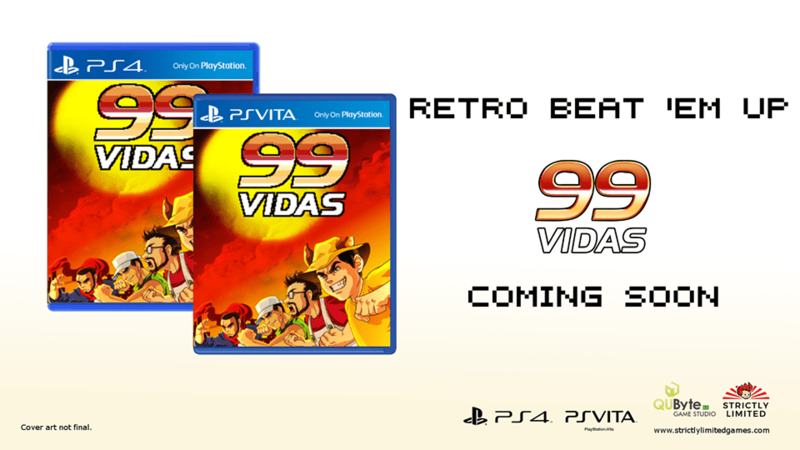 What about the original Vita/3DS port inspired you want to make a physical edition of the game? BB: Actually, we still know the original game for the Super Famicom. It’s a Japanese classic title and we’re always looking after these as we personally like them. OR: The “Plus Plus” [+ +] in the title suggests that there will be additional content not previously found in either the prior 3DS or Vita digital versions. How difficult is it to help design and add content to a game that has already been through two iterations? BB: The additional content will be more illustrations in the gallery. We had to do this because the old publisher doesn’t exist anymore and it we otherwise wouldn’t have had the chance to produce a physical version. Honestly speaking, all credit goes to Toshinobu Kondo. He is the illustrator of the Umihara Kawase series and is producing all the content. We really want to make a difference to the market, so there will be more titles that we publish which require considerable effort to realize them in physical form as they were not simply already available as digital download. OR: How did you develop a relationship with Studio Saizensen to bring the Umihara series to North America in a physical medium? BB: We’ve had a few emails and Skype sessions with Kondo-san. Dennis speaks some Japanese, so this was a plus when communicating. Kondo-san was grateful that people in Europe know and appreciate the Umihara series and we are very proud to be working with him on this classic release. It’s great to work with him as he really loves games as much as we do. OR: What has it been like working with Studio Saizensen on Umihara Kawase ++? BB: Kondo-San is an incredibly talented artist and even more a very nice person. The language barrier can be difficult, but not impossible to leave behind. It’s great seeing all the unpublished artworks and sprites of this game, which we – up until now – have only been able to see from our fan’s and collector’s point of view. OR: You’re new to the ‘limited release’ publishing industry. What unexpected surprises or challenges have you come across so far while entering this market? BB: We expected the initial setup and especially the organization to be more straight forward. When you are just starting out, people are more skeptical about what you are doing. But by now, we received a lot of good feedback which shows us what we are doing right and also gives us feedback on where we can improve. OR: How do you decide if games such as Sayonara Umihara Kawase ++ are a ‘one off’ deal, or if you will be publishing more of a particular series in the future? OR: If the demand is there, could we see the as-of-yet untitled Umihara Nintendo Switch title published under the Strictly Limited Games banner? BB: We’re huge fans of the Umihara Sayonara series and the Nintendo Switch is a great platform for console and handheld players, so they are a great match. In short, [t]his could happen. OR: Are there any particular games or companies that you would particularly like to publish a physical edition of? BB: Plenty! There are still many digital gems that are not available in a physical form yet. OR: Lastly, how can people let you know what games they would like to see a physical edition of? BB: We read every mail, Twitter DM or Facebook message. Even when we can’t answer everyone in time, we do our best to write a response to everyone contacting us. But that being said, be assured that we know most of the “high profile” titles. 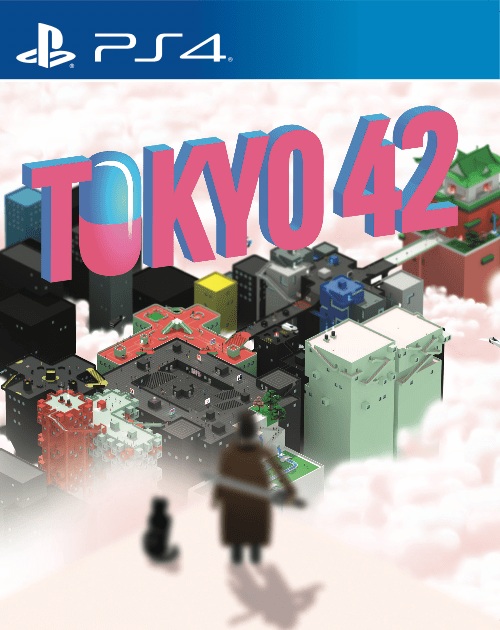 As of publication, Tokyo 42 is still in stock on their website for purchase. Would you like to see the just-announced Umihara title come to the Nintendo Switch? What do you think of limited run game releases in general?